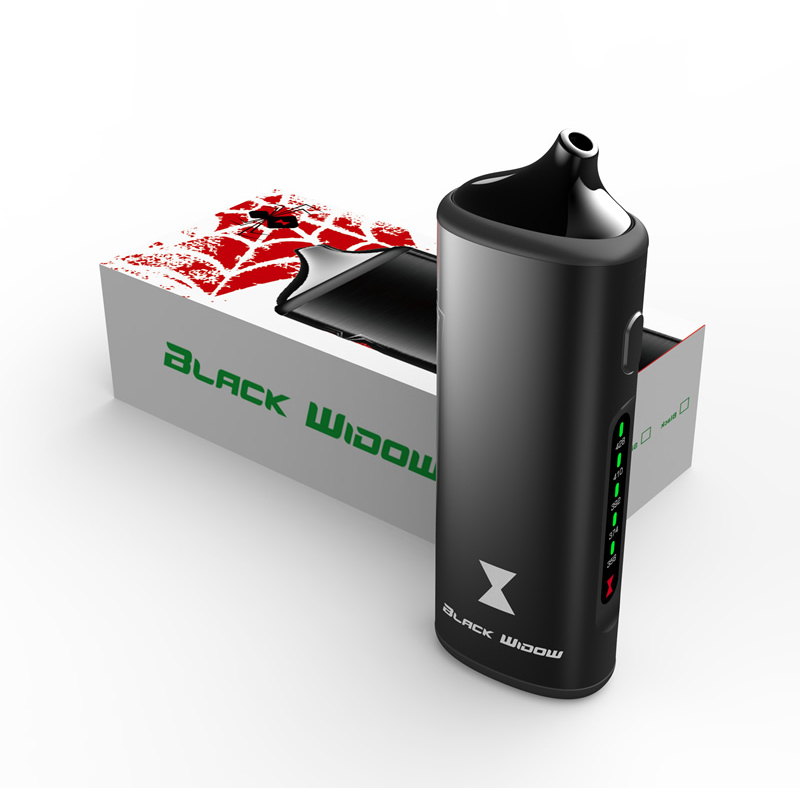 The Black Widow Vape from the company Kingtons is a powerful hand-held vaporizer made for dry blends with a tough as nails anodized aluminum body and cost-effective price tag. 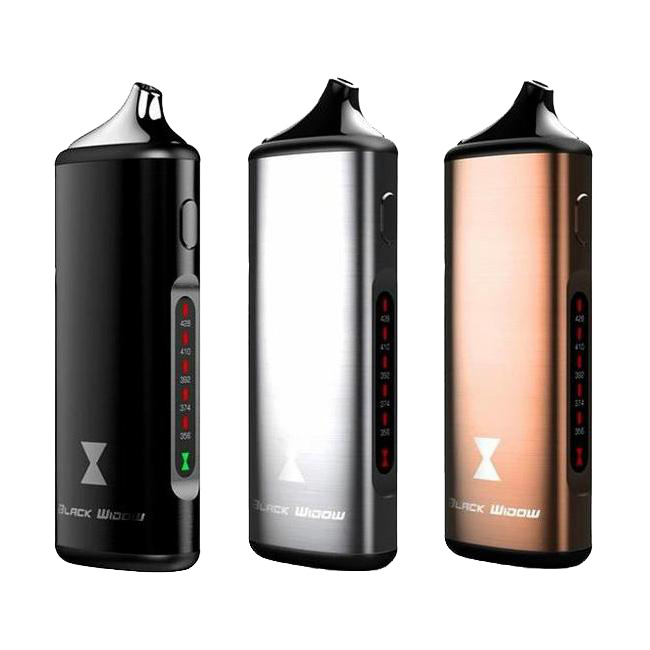 This portable device has a deep ceramic oven with conduction heating method that delivers great tasting vapor in moments. 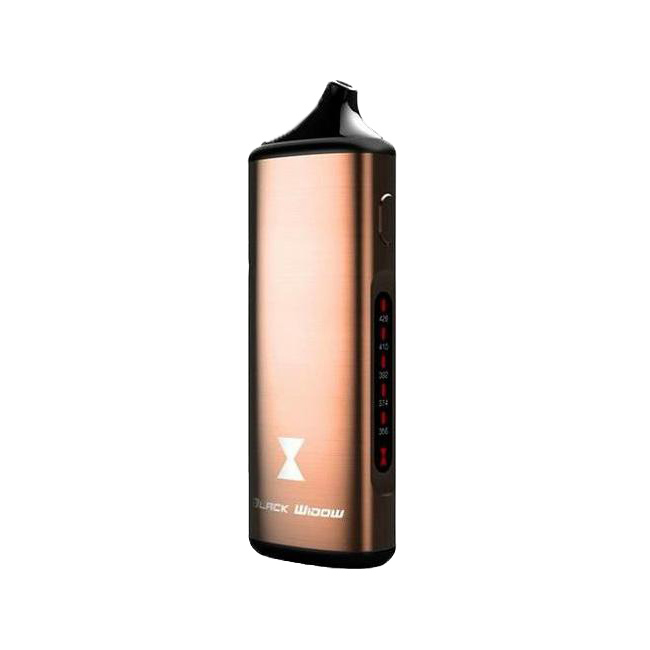 It is equipped with five preset temperature settings that will offer amazing results with a wide range of blends. Press the single control button five times to power the device on and then long press/hold for at least 3 seconds to adjust it's temperature level. Keep the button held to quickly toggle through all of the Widow's temperature options. After you have your ideal temperature selected (356°F, 374°F, 392°F, 410°F, 428°F) the Widow will reach it in around 25-30 seconds. Monitor the cycle using the LED power light indicators. The top LED will shine red when you start a session and eventually switch to green when it hits your temperature. There is a second LED indicator on the towards the base of the device that allows you to easily keep track of your battery level throughout the day. 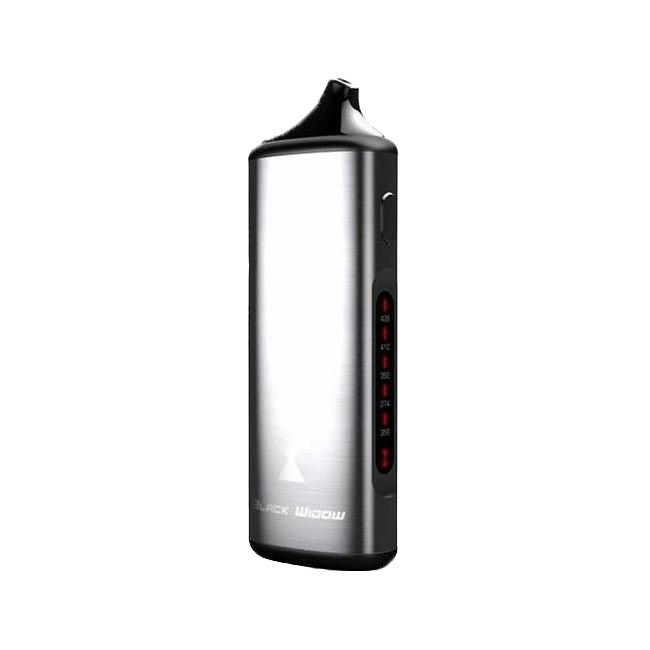 With a 2200mAh capacity you won't have to worry about this too often but when the time comes it is nice to easily glance down and see exactly when you need to recharge next. At a 26-100% charge the bottom LED light shines green and when it falls below 26% you will notice it change to red, indicating it will need a recharge soon. Kington's Black Widow Vaporizer comes equipped with a stainless steel oil cup insert that allows it to accommodate waxy concentrated material as well. Just drop the insert into the ceramic chamber, apply your concentrates and enjoy. Kington's recommends the maximum 428°F temperature setting when using thick concentrates. This device also features an innovative stainless steel mouthpiece with magnetic connection that offers clean-tasting vapor and an ultra convenient refill process. This mouthpiece also an innovative vapor cooling channel that increases the amount of surface area your vapor travels through to ultimately deliver a more enjoyable quality. 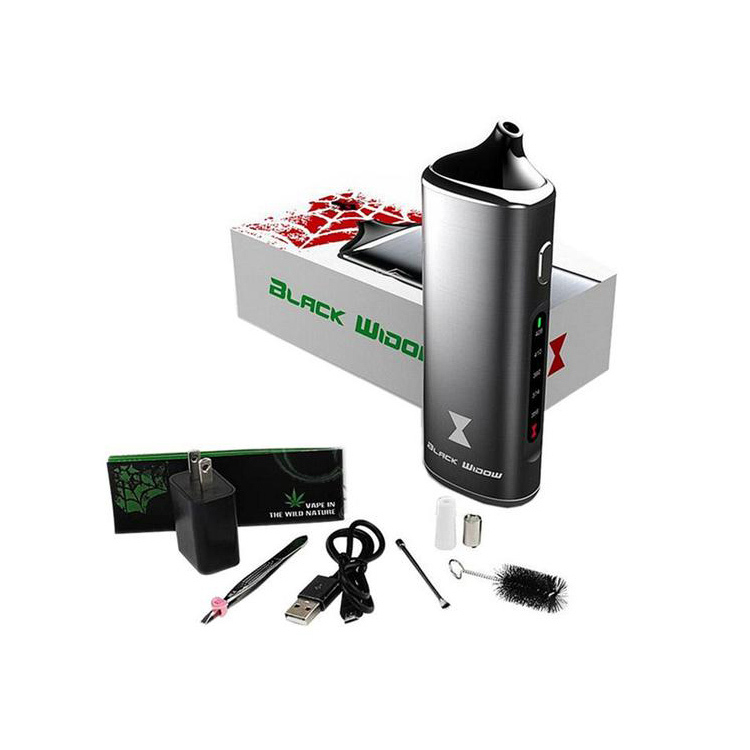 Invest in your new Black Widow Portable Vaporizer today and enjoy your favorite dried blends on the go anytime or anywhere without sacrificing an ounce of vapor quality.